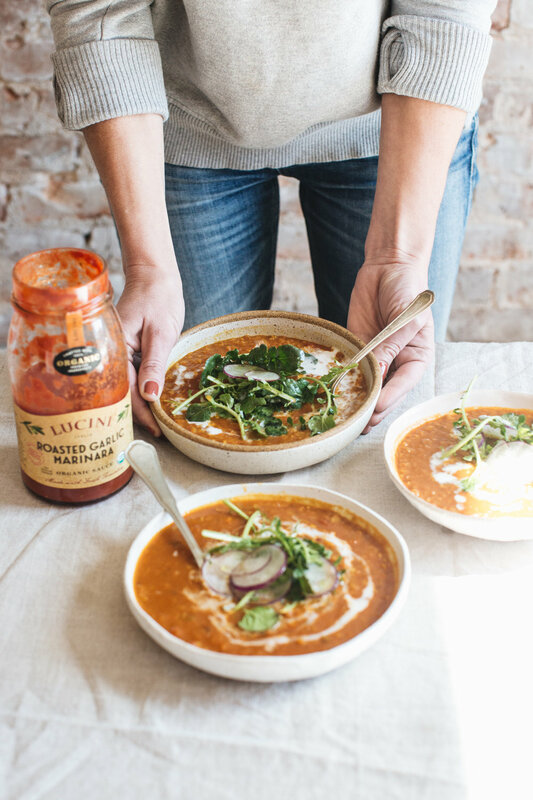 I've been working with Lucini Italia for a few months now as a brand ambassador, and it has been immensely fun to get to know their products, and to think of new ways to use their delicious and flavorsome olive oils and bottled sauces. 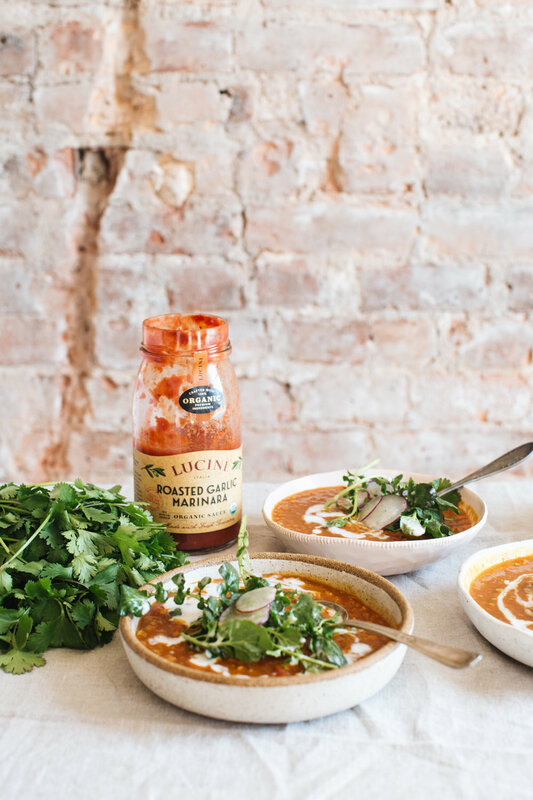 Lucini Italia's bottled sauces have been a revelation. I have been applying it in all the dishes that I would normally use fresh tomatoes in - in salad dressings (see last post), eggplant parmigiana, pasta bakes, vegetable stews, curries and more. The sauce is nothing like the usual bottled offerings. There's no added sugar, so it's not artificially sweet, and it has an intensely fresh flavor. 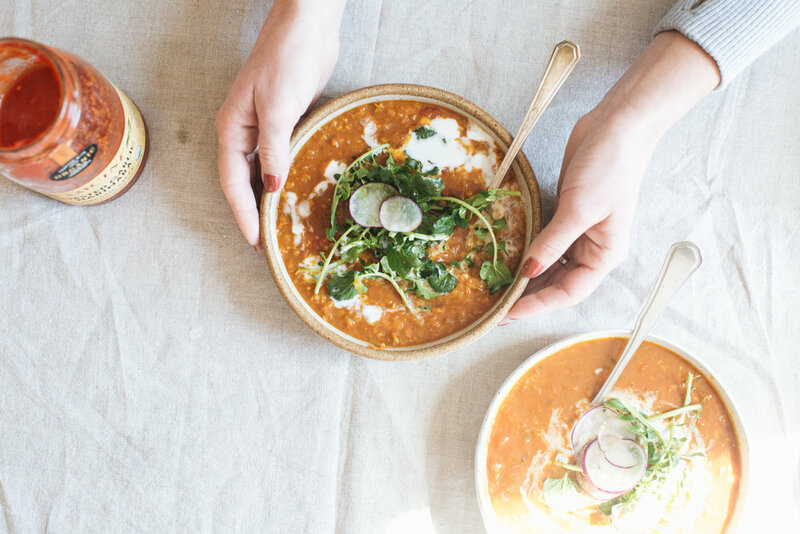 For example, in this recipe, it is the perfect base for this richly spiced curried lentil soup. This is another perfect weeknight soup - loaded with flavor but ready in about 30 minutes. In a large pot, heat olive oil and add the onions with a pinch of sea salt. Cook for 8-10 minutes until golden. Add the garlic, ginger, curry powder, red pepper flakes and another pinch of salt; cook for 2 mins. Add the lentils, stir, and then pour in the stock and tomato sauce. Reserve about ¼ cup of the coconut milk for topping, and add the rest of the can to the soup. Stir and cook for 20-25 minutes. Taste and season soup with sea salt and black pepper. Combine salad leaves with the cilantro and sliced radishes. Drizzle with olive oil and season with sea salt and black pepper. 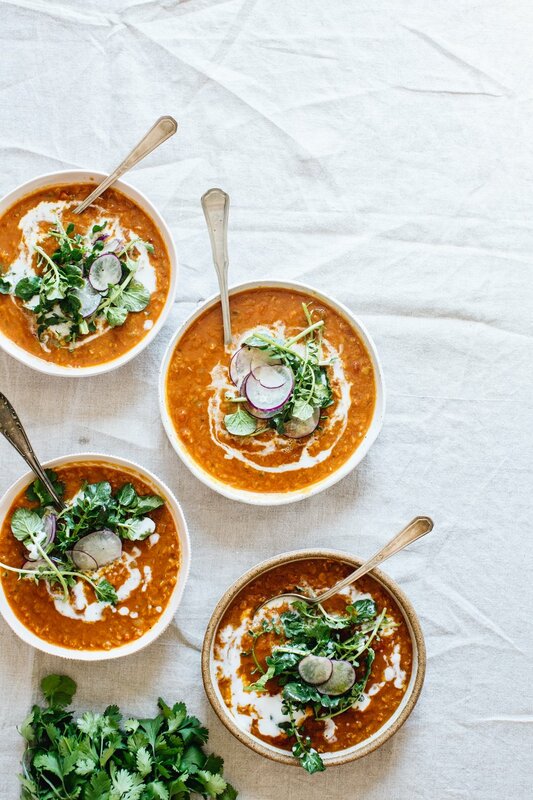 Ladle soup into big bowls, drizzle over some of the reserved coconut milk and top with the leafy, radish salad.